The D-backs' future stars put on an impressive display in the Arizona Fall League. Now, the brightest among them will join the big league club for Spring Training at Talking Stick. Top D-backs prospect Jon Duplantier earned his first invitation to Major Leagaue camp, the club announced Wednesday, following a season that was hindered by right biceps tendinitis. 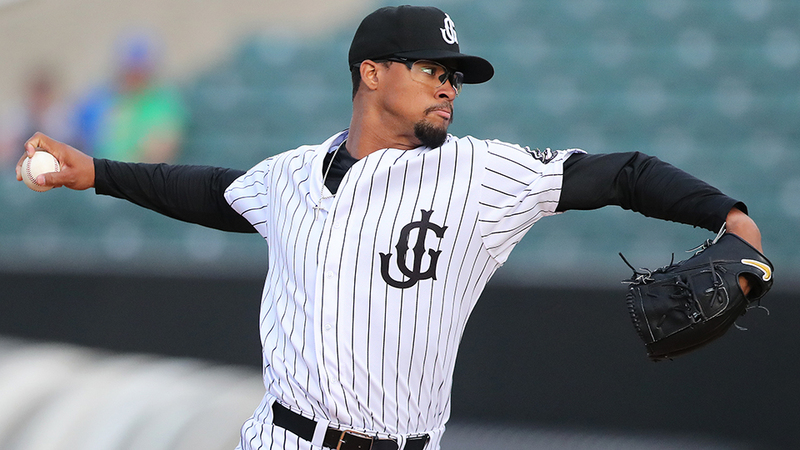 Duplantier was limited to 74 innings in 16 starts last year with Double-A Jackson and two rehab appearances in the Rookie-level Arizona League. The right-hander was sidelined for more than a month in Southern League but went 5-1 with a 2.69 ERA and 68 strikeouts over 67 innings for the Generals. He posted big strikeout numbers while making up some lost time playing for Salt River in the AFL, fanning 32 in 21 2/3 frames while compiling a 3.32 ERA in six starts. MLB.com's No. 80 overall prospect was named AFL Pitcher of the Week after punching out nine batters over 4 2/3 frames during a Nov. 6 start against Scottsdale. The 24-year-old right-hander was named 2017 MLB Pipeline Pitcher of the Year in his first full professional season. The third-rounder out of Rice University posted a 1.39 ERA and 165 strikeouts over 136 innings between Class A Kane County and Class A Advanced Visalia. The other ranked D-backs prospects to receive non-roster invitations Wednesday were right-hander Taylor Widener (No. 2), shortstop Jazz Chisholm (No. 3), catcher Daulton Varsho (No. 5) and second baseman Andy Young (No. 22). Chisolm batted .442 in the AFL and is ranked eighth among shortstop prospects by MLB.com. The full list of non-roster invitees includes catcher Tyler Heineman, outfielder Abraham Almonte, infielders Wyatt Mathisen, Kelby Tomlinson and Juniel Querecuto, outfielders Yasmany Tomas, Andrew Aplin, Matt Szczur and Rob Refsnyder and right-handers Ryan Atkinson, Braden Shipley, Rubby De La Rosa, Stefan Crichton, Kevin Ginkel and Troy Scribner. Gerard Gilberto is a contributor to MiLB.com. Follow and interact with him on Twitter, @GerardGilberto4. This story was not subject to the approval of the National Association of Professional Baseball Leagues or its clubs.